The 1st Nomads purpose (“through golf helping others”) has delivered a long tradition of successful charity days. 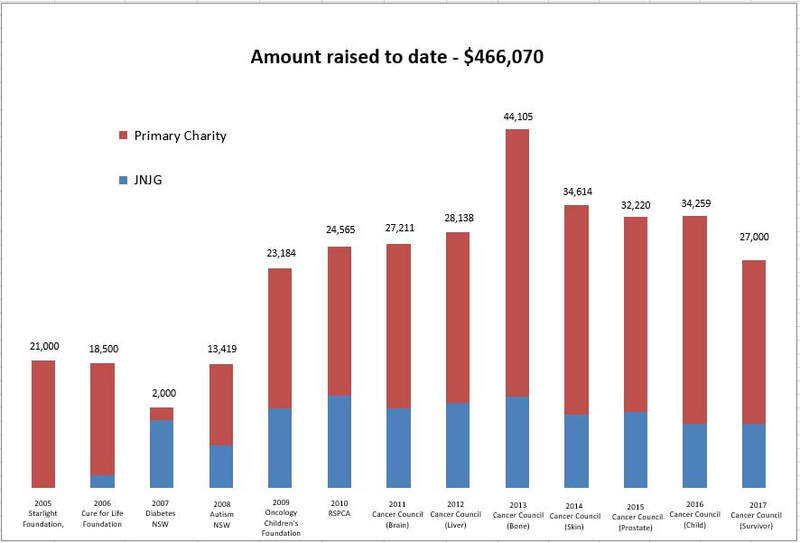 At the end of 2017, Nomads Sydney North had raised a total of over $466,000 for charity and junior golf. Each year a different charity is chosen as a primary beneficiary. Since 2006, contributions of over $135,000 have also been made to Jack Newton Junior Golf for the furtherance of junior golf.